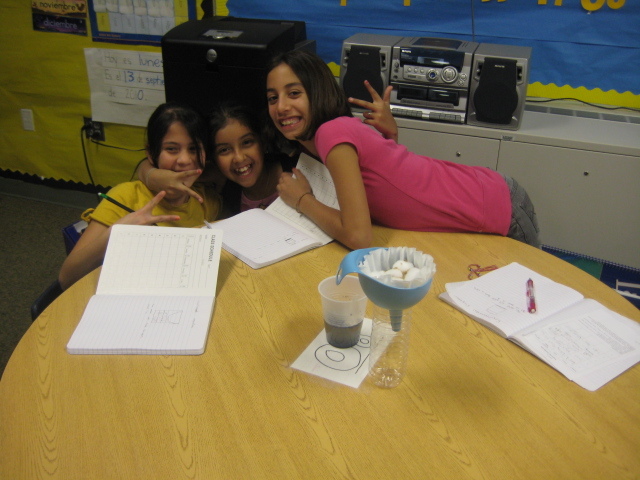 Future scientists from McBee Elementary School! 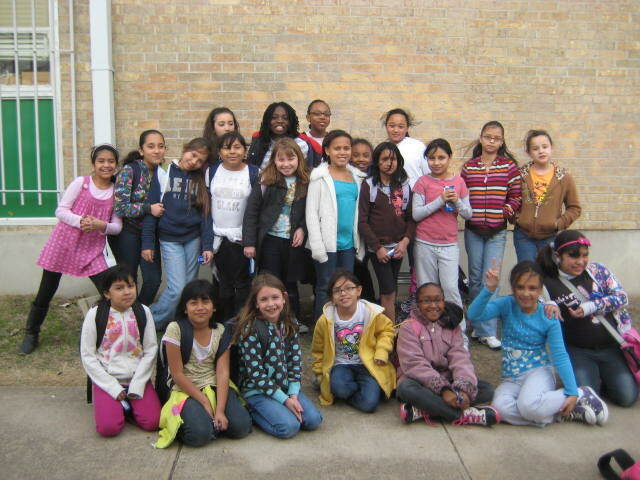 This week the ladies of McBee Elementary learned about water pollution and ways to reverse its effects. We learned about different water pollutants in small groups, and then demonstrated some of these effects on glasses of water. Since each group was now stuck with a soiled glass of water containing dirt, soap and trash, we put our thinking skills to the test and created filter systems. What great engineers! One of the many filters! Putting their filters to the test. 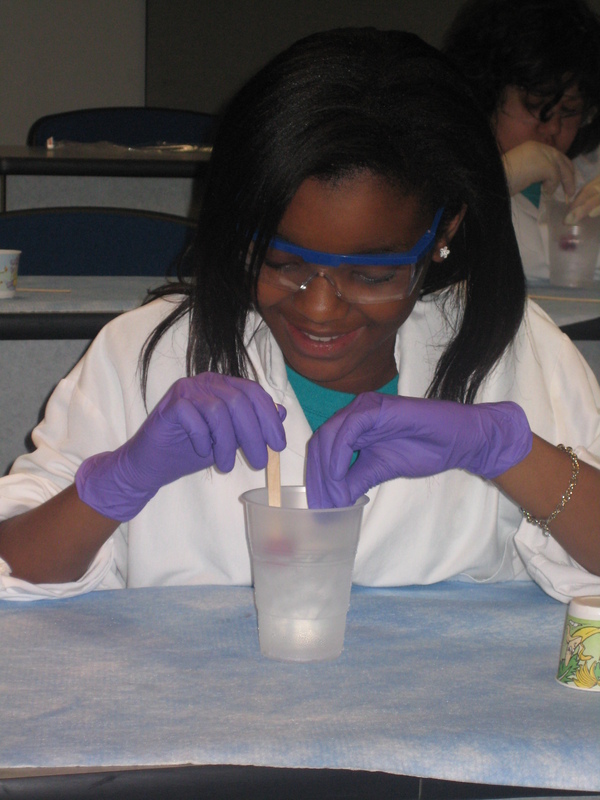 Girlstart’s Girls In STEM Conference, part of the Expanding Your Horizons national network, is a one-day conference created especially for girls in the 4th through 8th grades. 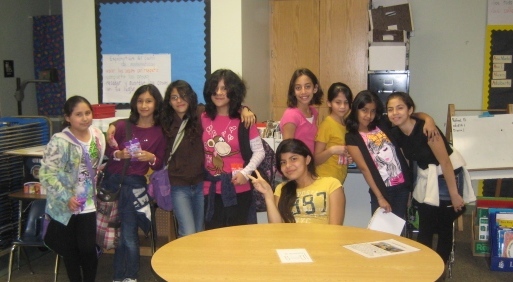 Girls attend three unique hands-on workshops and they can even register to attend with their friends! I got to have fun and learn at the same time. Meeting new people with the same interests as me. Learning how to use the computer to make a robot move. 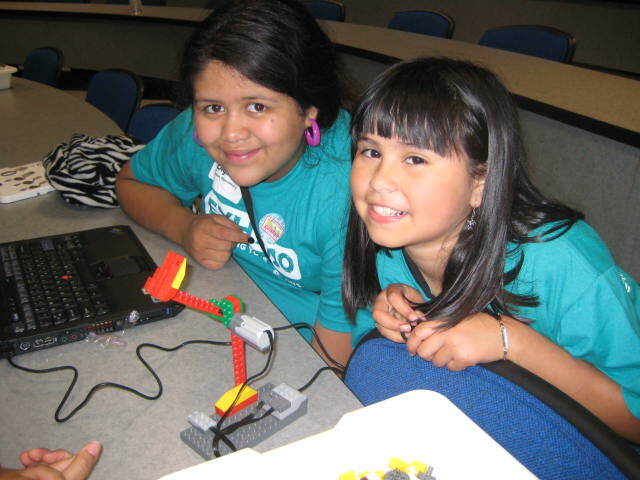 That we don’t just sit in class and learn, Girls In STEM actually lets us have fun while learning educational and cool stuff. DNA can be extracted from a strawberry using house-hold items. 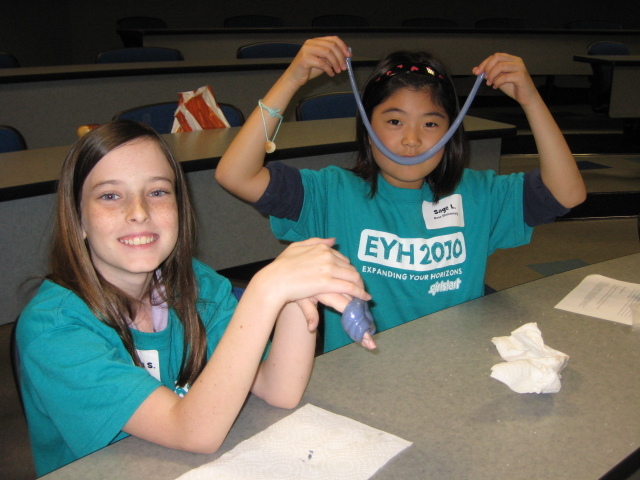 Register your daughter TODAY for a fun-filled day of science, technology, engineering and math (STEM)! Want to be a Soil Scientist? 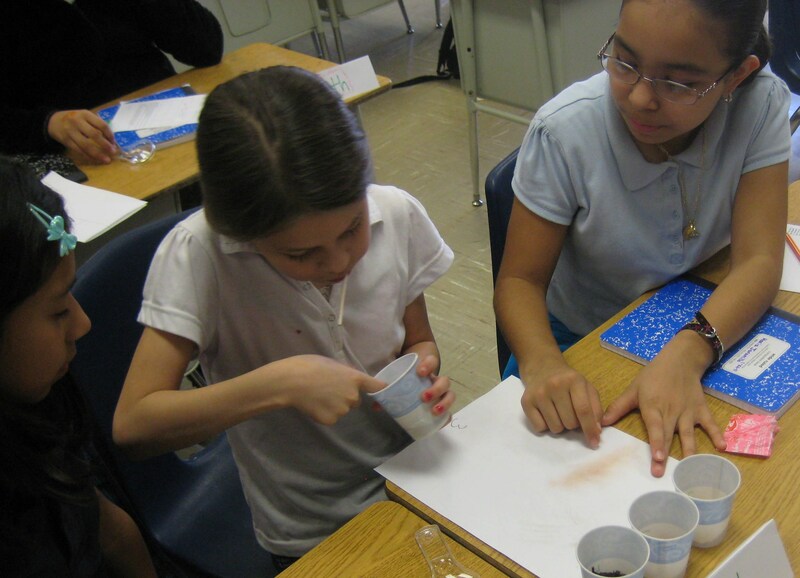 This week the girls of Wooten Elementary explored soil and its properties. 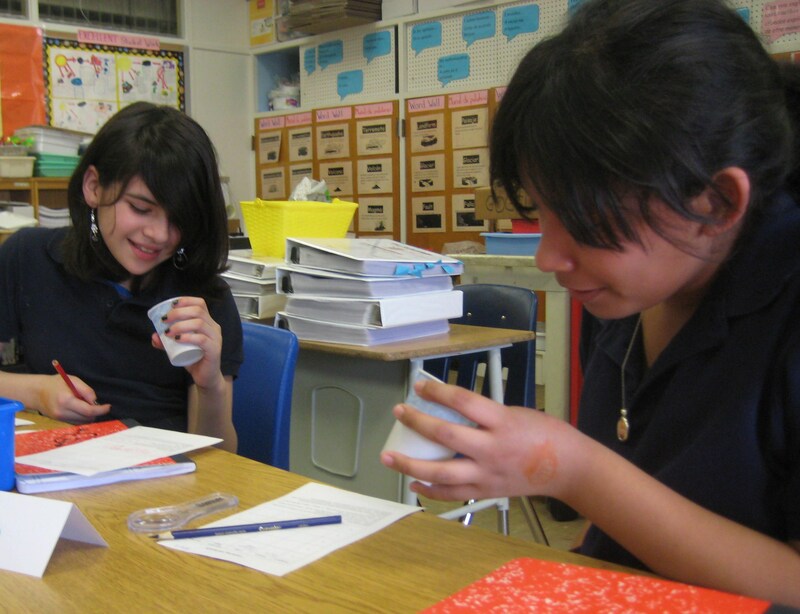 First the girls made observations as they placed clumps of soil into a cup of water to learn about soil composition. Then in small groups they explored the texture, color, and sediment structure of five different types of soil: silt, clay, natural dirt, sand, and garden soil. 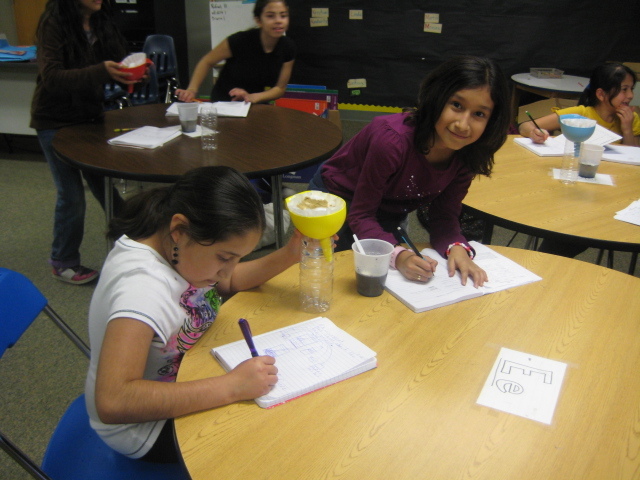 Next the girls used their observations to discuss different scientists that study soil for their work and research. 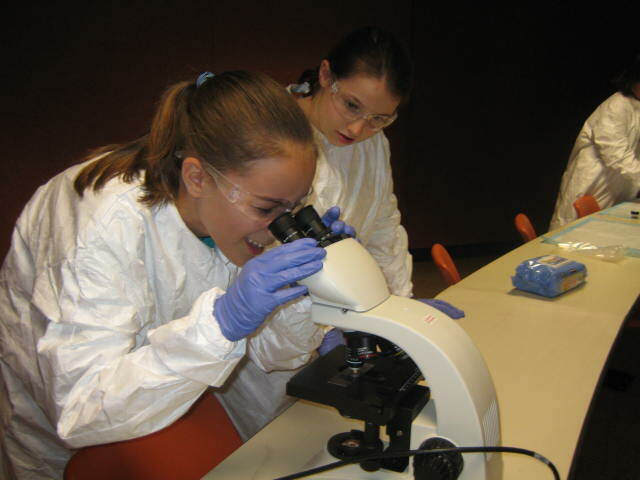 Check out those soil scientists! This one looks like hot chocolate mix, but it feels gritty. 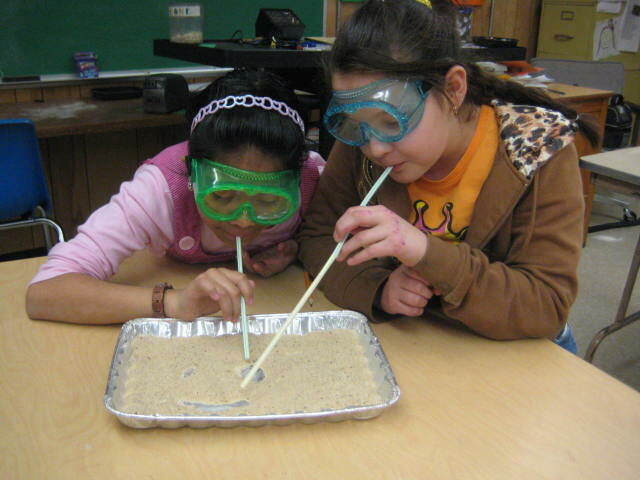 This week, girls from Cook Elementary sifted through sand as they explored sand dunes! The ladies experimented with wind patterns to create a few different types of sand dunes, and even got to create their own masterpieces by blowing pictures into the sand! Once they had a firm grasp on how sand dunes are formed, they discussed the significance of sand dunes around cities, and brainstormed the pros and cons of trying to build structures to stop a sand dune from damaging a city. 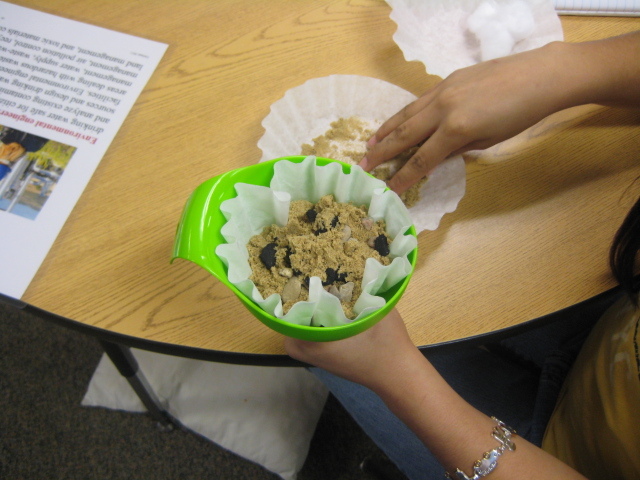 Check out the awesome pictures from this week’s lesson! 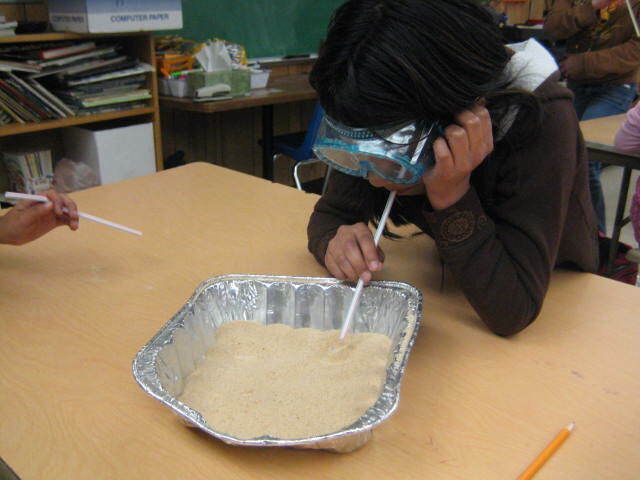 Girls created different types of sand dunes by experimenting with wind direction and strength. It’s cold enough outside to freeze water, so why not do a freezing experiment! We tested the effects of 3 different solvents reactions to the outdoor freezing temps (it was 25°F outside when we tested) and compared it one plain water sample. The purpose of this experiment is to test the freezing temperature of each solvent. 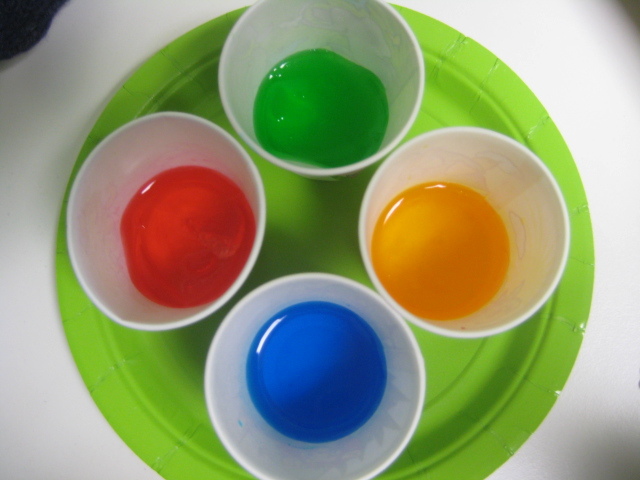 Food coloring was added for differentiation but had no impact on the freezing effect. Mix a half a tablespoon of either salt, sugar and baking soda into 3 separate cups and add one inch of tap water in each. 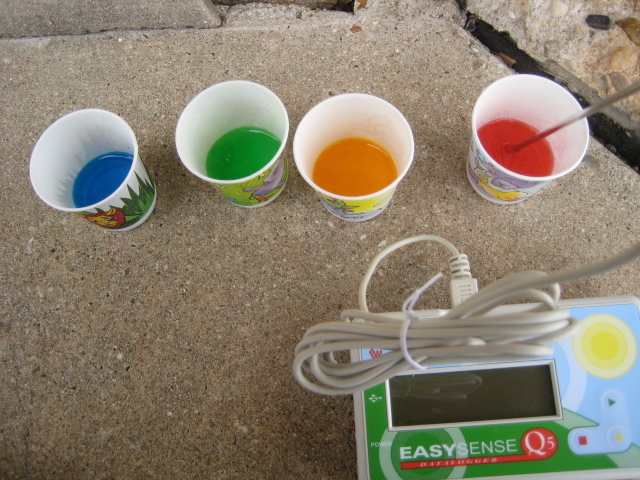 Then add food coloring (for fun) and place cups outside in the freezing cold air. After 30 min to an hour, check on the cups to see which ones have already started to freeze. The red solution and green solution will probably have a thin frozen layer on top. 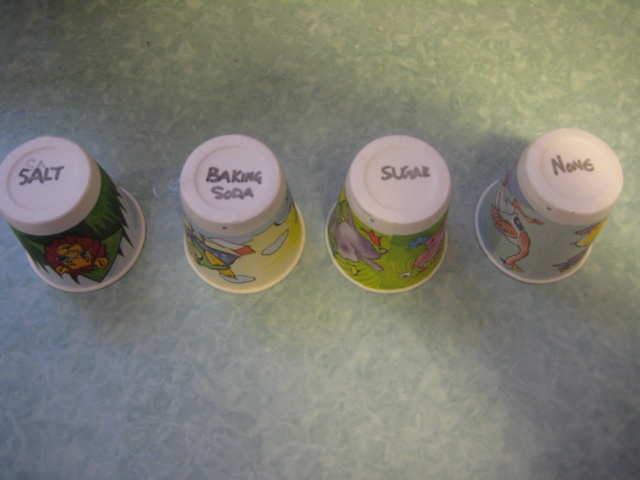 Place a thermometer directly into each cup and recorded each temperature. It is known that water freezes at approximately 0°C/ 32°F. The water froze the quickest, followed by the sugar sample (with respective temperatures at 0°C and -2°C) which both produced a frozen layer, followed by the baking soda sample at -.9°C with a slushy layer and finally the salt sample ( -1.2°C) which remained in its original liquid state. What is most observable is that sugar froze the water quicker than the salt froze the water. This can be simply explained by the principle that the freezing point (the temperature at which solution will freeze) of sugar water is lower than the freezing point of salt water. Sugar (sucrose) interacts with water using similar forces (dipole-dipole) and attracts the water molecules, where as salt forms a dissociating interaction (ion- dipole)- so it has to be a much colder temperature to freeze the salt water . Thus concluding the stronger the intermolecular force, the lower the freezing point and the quicker the water freezes as you’ll discover after doing this experiment!!! !